We haven’t visited Colchester Zoo for a while now. When our Zoo passes run our a few years ago we didn’t renew them. At the time Darren’s shift work meant we wouldn’t be able to use them as much as we wanted to. 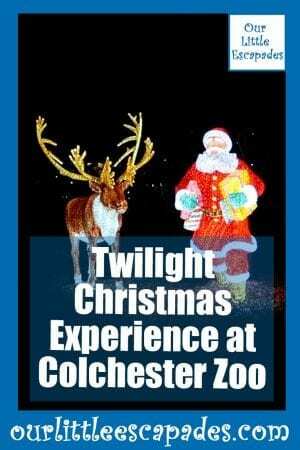 When I got the email about the Twilight Christmas Experience at Colchester Zoo I knew I wanted to take the children to the event. It mentioned viewing the Christmas lights on the land train. Ethan loves Christmas lights so I knew he would enjoy it. Having visited Santas grotto at Colchester Zoo numerous times and taking Ethan to the breakfast with Santa event. I knew we wouldn’t be disappointed. 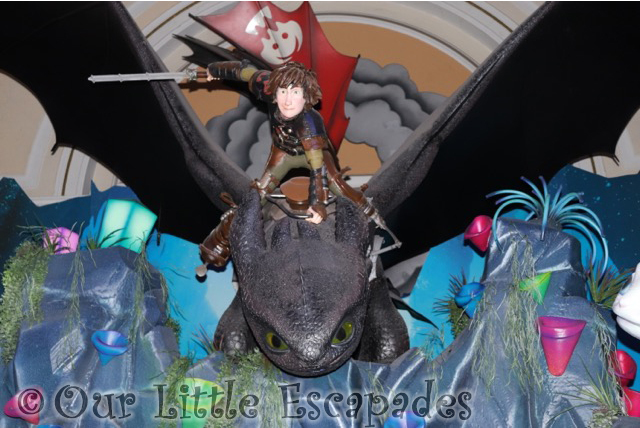 The Twilight Christmas Experience cost £45.00 for children and £10.00 for the adults. There was no discount for pass holders as this was a stand-alone event when the zoo was closed to the general public. The experience included a visit to Santa’s grotto, a chance to meet and feed Santa’s reindeer and time with Mother Christmas making a sand-filled star or Christmas tree. After the activities, the children had dinner with Santa. They were given half a children’s sized pizza, half a jacket potato, and baked beans. They also had carrots, cucumber, and houmous available. For dessert, they had jelly and cookies. Mother Christmas also gave them a gingerbread biscuit. The adults were able to have a hot drink and a slice of cake whilst the children ate their food. After dinner and more time meeting Santa it is time to board the land train. This is the time to see the zoo’s Christmas lights. At the end of the journey Santa presents the children with a gift. 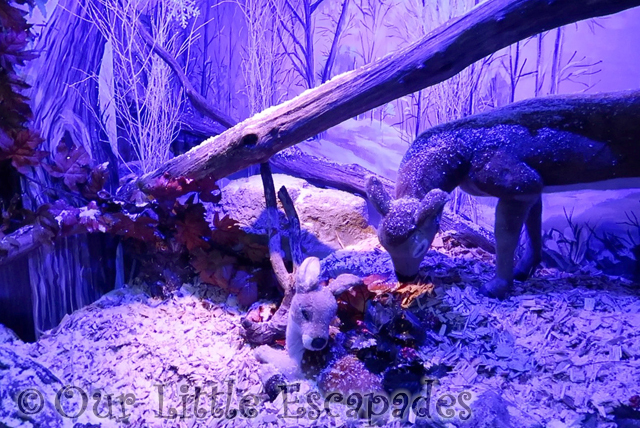 The video below shows our time at the twilight Christmas experience. At the start of the Twilight Christmas Experience, we were split into four groups. I’m assuming these groups were selected in the order you booked the experience as we were in group one and I booked our visit in August. 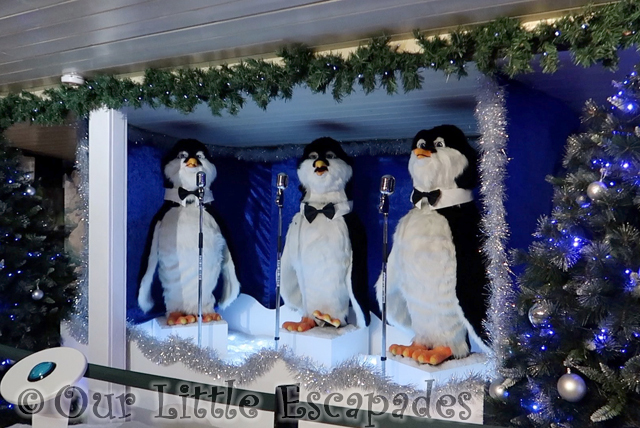 We haven’t visited Colchester Zoo’s Santa’s Grotto for a few years now. I wasn’t expecting it to be any different but it had totally changed. You even board a sleigh that takes you to the North Pole. Darren was unable to come with us on this visit to the zoo. I can’t wait to show him the updated grotto next December. Aster visiting Santa’s grotto our next activity was meeting Santa’s reindeer. It was the second time in December that our children met reindeer. Our first time was at the fillpots Christmas event. I never thought we would get the chance to feed reindeer and twice in the month was a real highlight. The last activity after the children had eaten was visiting the Christmas lights on the Land Train. This was the reason I booked the tickets. We have never been on the land train at the zoo. It is one of the things on my todo list now that we have Colchester Zoo Gold Passes again. 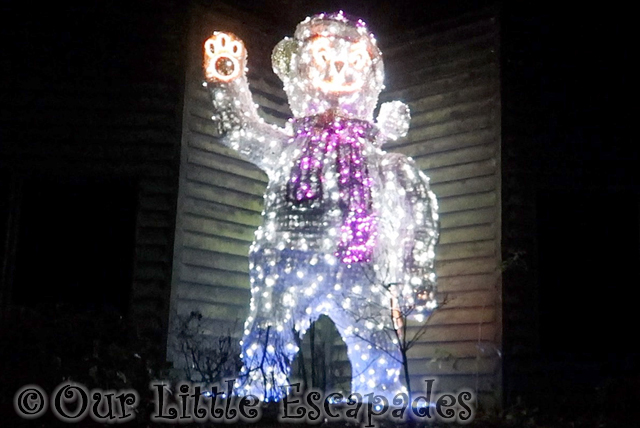 It was lovely seeing all the lights and thankfully the rain stayed away during our journey. Whilst on our train ride, we had to help Santa look for the present sacks that he had lost. The children had to shout out whenever they spotted one. The train stopped at the train station where we got to meet the Colchester Zoo mascots. Santa also visited the children again and he gave them all a gift. 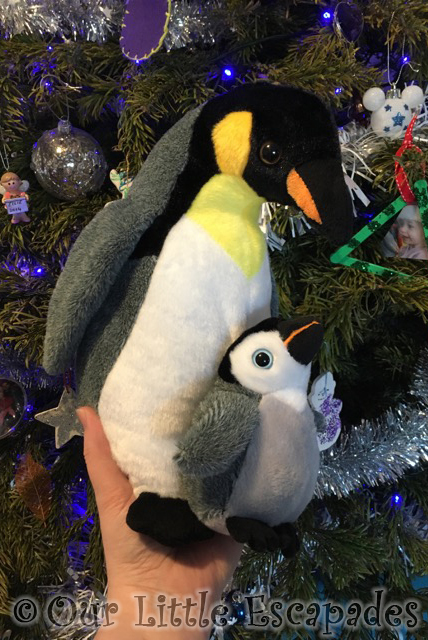 It was a lovely penguin and its chick. 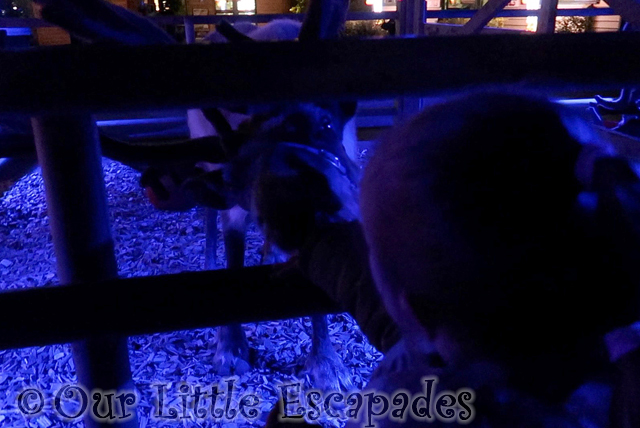 We had a lovely time at the Colchester Zoo Twilight Christmas Experience. I would happily take the children again in the future.